Charles Moore’s article in Friday’s Daily Telegraph dealt with the present Middle Eastern crisis and the somewhat incredible comparisons certain misguided British politicians (alas, the one he singles out is a great supporter of the CHG, Sir Peter Tapsell) have been making between Israel’s actions against Hezbollah and the German Nazis’ actions against the Jews in 1943. Inevitably, Mr Moore looks at the background to the fact that, no matter which way one looks at it, European countries have next to no say in what is likely to happen in southern Lebanon or Gaza. Part of the reason is recent politics and a refusal to understand that in order to be strong in international affairs one must be strong militarily but that is outside this blog’s scope. “This week marks the 50th anniversary of the beginning of the last Middle East crisis in which Britain acted without concerting with America. 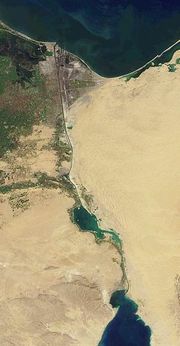 On July 26, 1956, Gamal Abdel Nasser, the president of Egypt, nationalised the Suez Canal. Britain accounted for a third of the ships passing through the canal at that time, and we feared that Nasser had put his foot on our windpipe. Eden, perhaps reeling from his good fortune in having employed the young P. Tapsell, concocted a secret plot with France and Israel to regain control of the canal by violence and bring about the fall of Nasser. Ignoring the delicacies of a presidential election in America and a president, Dwight D. Eisenhower, who had publicly made it clear that his country opposed force, we went ahead and invaded Egypt on November 5. Furious at having been deceived, America immediately refused to support the pound in the markets, and we crumpled almost overnight. The then chancellor, Harold Macmillan, who supported the attack from the first but ratted on it in November, wrote in his diary on August 18: "…if Nasser 'gets away with it', we are done for… It may well be the end of British influence and strength for ever." Well, Nasser did get away with it, and British power in the Middle East did collapse. We have now passed half a century in which the ultimate responsibility for these decisions has passed from us (and from France) to America. Unless we seriously propose to try to regain that responsibility, either alone or in concert, we do well to try to work closely with America rather than acting like a querulous octogenarian. Mr Blair's efforts in Washington yesterday to search for a ceasefire that prefers durability over immediacy are perfectly sensible. Who says we can learn nothing from history? It is a little unfortunate that Tory Historian was so busy on other matters as to miss one of the crucial dates for this country and the Conservative Party in the twentieth century. Thursday saw the fiftieth anniversary of President Gamal Nasser’s nationalization of the Suez Canal. This act, in itself not unexpected, triggered off what turned eventually into a political crisis in Britain and made it clear to all the participants that the war-time alliance between Britain, France and the United States was no longer active. It also led to the resignation of the Prime Minister, Anthony Eden. We hope to see serious discussion on this blog in the next couple of months about the events that led up to the attempted invasion of the Canal by Britain, France and Israel and what the significance of those events might be. But, in the meantime, we could not pass the anniversary of the event that began it all, unmarked. Where do we stand on public opinion? Yesterday Tory Historian attended a wonderfully interesting meeting of the Conservative History Group on the subject of Chamberlain’s reputation. A write-up of that will follow as soon as it is practicable. Central to our understanding of the crisis that took up the second half of 1938 is the double appreciation that despite the fact that Churchill wrote the history of the period, Chamberlain was probably right politically and from the point of view of defence matters; and that he had public opinion on his side. It is not so much public opinion that remains the problem more its expression by the media and other political interpreters. In Peel’s day there were still those immediate expressions of public opinion, the mob and the meeting. Over the last few decades both have largely disappeared. On the other hand, we now have the growing power of the blogosphere (still in its infancy in Britain) that might turn into another weapon of public opinion that circumvents its “interpreters”. As the French so aptly say: plus ça change, plus c’est la même chose. Disraeli again, I am afraid (there will be postings about Peel and others, I promise), as today is the anniversary of the signing of the Treaty of Berlin, the ending of the month-long Congress of Berlin in 1878. It is rather reassuring to think that towards the end of the last century many of those names reappeared in our consciousness as countries that had apparently ceased to exist made their way back into history. Whenever I want to get depressed about American rather than British politics (well, after all, isn’t that what being Tory Historian is all about?) 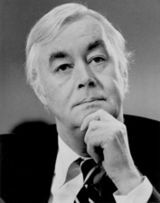 I think about the fact that Hillary Rodham Clinton is the successor to Daniel Patrick Moynihan as New York Senator. Moynihan was a Democrat and it is useful to recall that until recently the division between conservative and “liberal” thinking was not along party lines. Moynihan, for instance was a man who believed in freedom internally and externally, individual responsibility and small government. I particularly like this quotation that, I hope, will elicit comments from readers. Where does the British Conservative Party fit in that equation? Undoubtedly many of this blog’s readers will disagree with it celebrating American Independence Day. It is undoubtedly true that at the time many Tories opposed the presumptuous Colonists’ Rebellion and it was a Whig, though one who has been seen as one of the founders of Conservative political thought, Edmund Burke, who spoke most eloquently in their favour. Whatever one’s views are on the Colonists’ Rebellion; whatever one’s views are on the way the United States developed in the eighteenth century and subsequently; few of us can fail to be touched by those words. Another excellent quotation posted on Chicagoboyz.